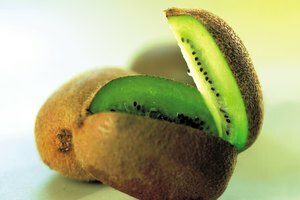 Despite their tropical reputation, kiwis are a surprising fall and winter fruit, popping up in markets from November through April; that's because they stay ripe for quite a while. But the fruit does eventually lose quality and spoil. Here's how to pick the best kiwis at the store and make them last at home. Very soft skin that is so pliable to the pressure of your fingers that you can almost rupture it. Extreme wrinkling or shriveling of the outer skin. Soft and slightly squishy fruit inside. Store whole, uncut kiwis at room temperature for two to three days until they ripen. 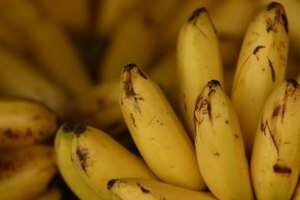 They typically keep for five to seven days in the refrigerator when stored in a plastic bag. Keep any cut kiwis in the refrigerator for three to four days. A spoiled kiwi should be discarded. 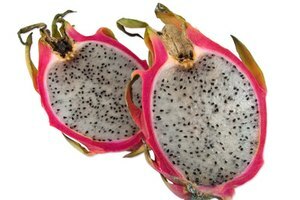 Overly soft or very squishy fruit. Signs of mold. 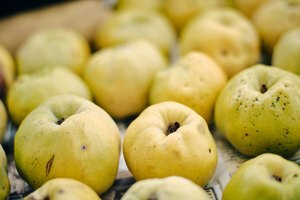 Once you can see any signs of black or brown spots or fuzzy green mold, there are most likely undetectable bits of mold elsewhere in the fruit. Blended with fruit juice for smoothies and frozen fruit pops. Mixed with yogurt for sorbets and ice cream. Chopped finely and added to pancake or waffle batter. Here's a recipe. Chopped and stirred into quick breads or jam. More recipes for you here.